All I Want for Christmas🎄 is GLOSSYBOX Advent calendar!Full Video up on our YouTube Channel, come check out the Spoilers as we unbox 25 days of Christmas 🎅 gifts! Fellas need the perfect Christmas gift for Her? 🎁 I got you!! Ladies Treat Yo'self this Christmas🎄with GLOSSYBOX All I Want Advent Calendar! Imagine 25 days of Christmas unboxing how exciting. 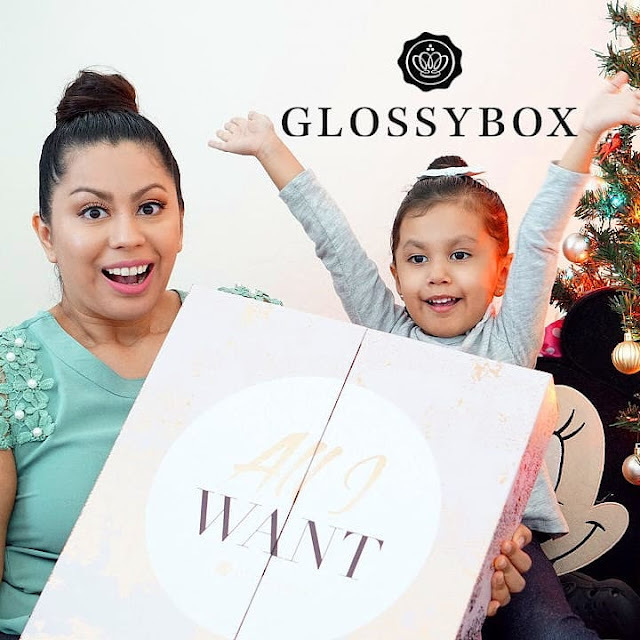 Full Spoilers plus a special coupon code for $10 off your GLOSSYBOX Advent Calendar. Hello darlings, today I have a beauty product review from Keep Me Safe Organics! In order to give you my honest opinion, I tested the products for three days and made a video documenting my results after using all the products. I will post the video below. Let's talk about my skin issues before using the products; I suffered from dry flaky skin, red blotchy patches on my cheeks and of course acne. I'll be reviewing each item and tell you a bit more about them. Today is a special day, I've been blogging for six years now and this is officially my 100th blog post!! Woot woot!! Thank you for following my journey through reading my blog. If you love sewing as much as I do then you know how time consuming a single project can be. What if I told you that you can cut your time in half by having the right cutting tools or better yet having tools that will make your sewing smoother! You have the right to remain gorgeous! Anything you wear won’t be used against you in the court of fashion. Guilty as charged. This September GLOSSYBOX is calling into a lineup all the common beauty problems! So when it comes to the perfect lipstick, a scent that lasts, and greasy hear, consider it CASE CLOSED. If you aren’t familiar with GLOSSYBOX it is a $21 monthly beauty box subscription. They always curate the perfect box of skincare, makeup, hair products, and products you didn’t even know they existed. This month’s theme is Usual Suspects, it’s a fun twist of how to solve common beauty problems. This month GLOSSYBOX features STYL, MOODMatcher, WildGarden, Psssst, Lapcos, and Context. Below I’ll talk more about each product, cost, mini review, and Swatch Time!